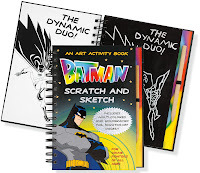 Home » Product Reviews » The Batman and Justice League Scratch & Sketch Books! The Batman and Justice League Scratch & Sketch Books! The Batman and Justice League have both been off the air for a good long while. 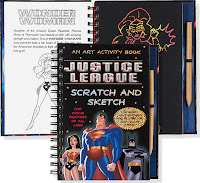 There was a cool release of a The Batman scratch and sketch book awhile back, but Peter Pauper surprised us with a Justice League release here in 2010! I'm hurtin' for some good, new JL product , so we thought we'd spotlight it for other fans that are less than energized by merchandising for the Brave and the Bold, like myself. Learn all about Batman's crime-fighting friends and fierce foes, from The Riddler to Robin, and from The Penguin to Poison Ivy, as you copy 20 simple sketches of these world-class heroes and villainous criminals. 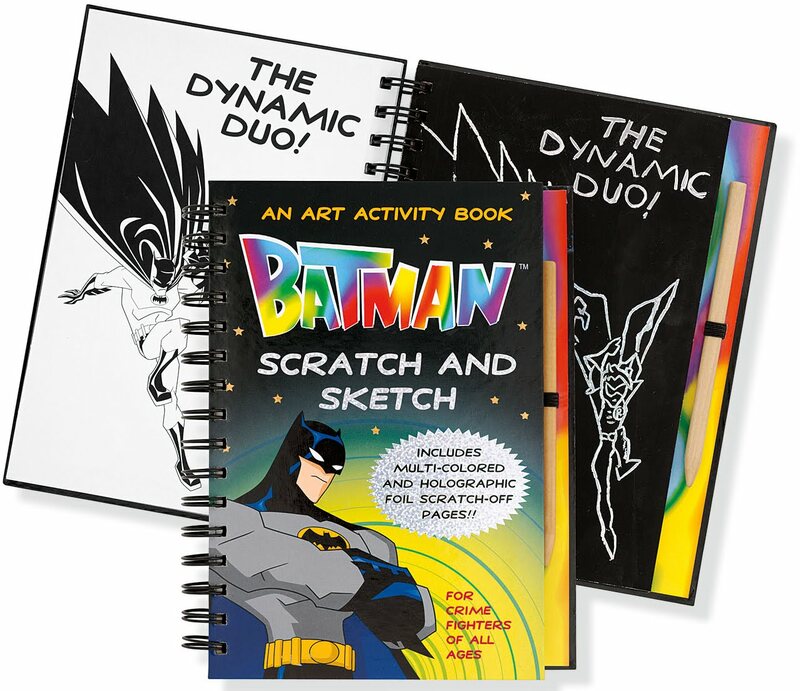 Use the handy wooden stylus to scratch away the black coating on the pages, and see Gotham City's characters come to life in swirl patterns and glitter colors that appear in your artwork like magic! Ages 6 and up. 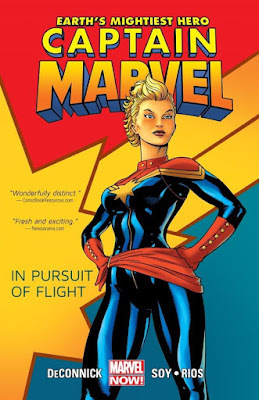 When the world is filled with bad guys and earth invaders, fear not! The Justice League team will protect us! 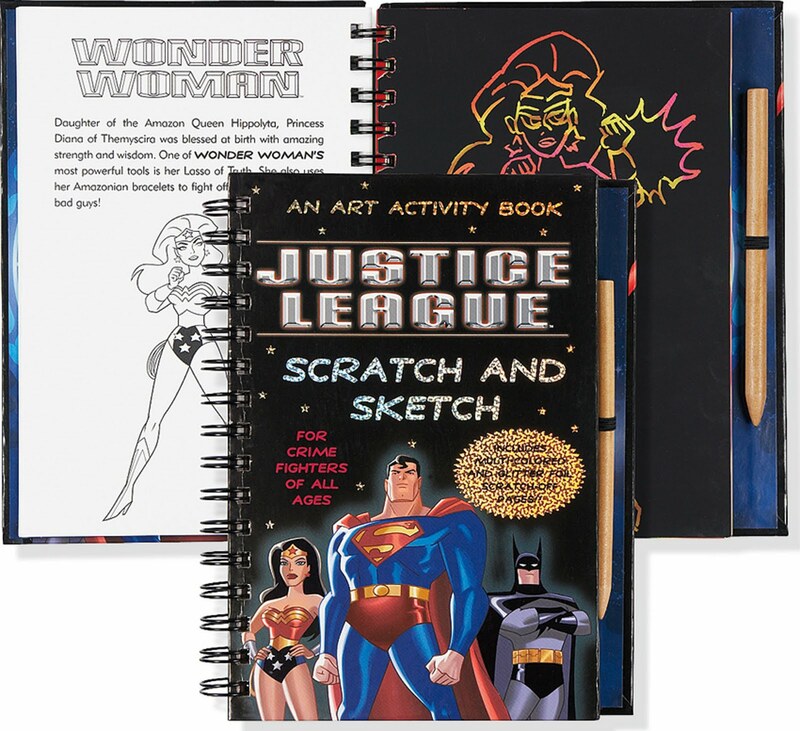 Young crime fighters can use the wooden stylus to scratch away the black coated pages, and see Superman, Batman, Wonder Woman, and their friends and foes come to life in swirl patterns and glitter colors that appear in their artwork like magic! This "Justice League Scratch & Sketch" Art Activity Book features: Wooden stylus for drawing on black-coated paper to reveal glittering, gleaming colors beneath. Wire-o bound hardcover binding. 20 scratch-off, 20 illustrated, and 20 sketch pages. Ages 6 and up. 6-3/8'' wide x 8-1/2'' high. Non-toxic: Potential eye irritant. Avoid inhaling particles of scratch coating. Not for children under 5 years. Meets all applicable safety standards. © 2009 DC Comics. JUSTICE LEAGUE and all related characters and elements are trademarks of DC Comics © 2009. All Rights Reserved. Thanks to our friends at Peter Pauper for the review samples.